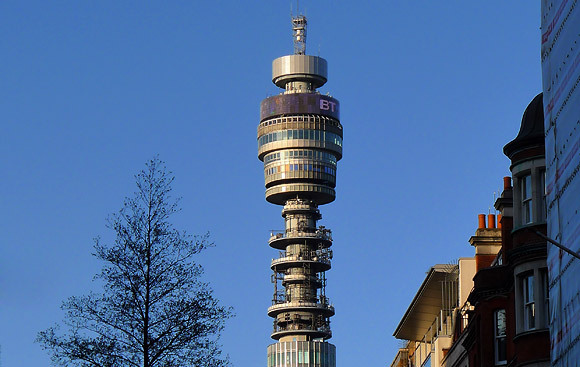 What have they done to the BT Tower in London? 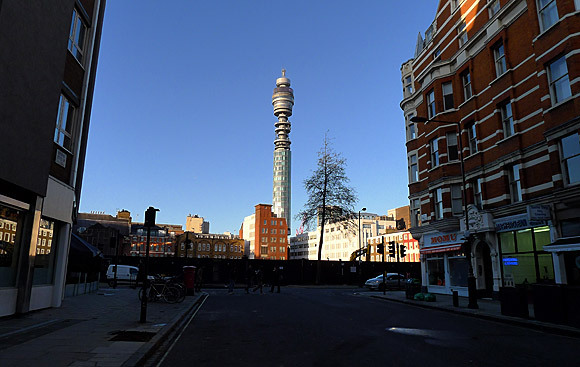 Despite its Grade II listed status, BT have been allowed to make major changes to the appearance of the iconic BT Tower in central London. 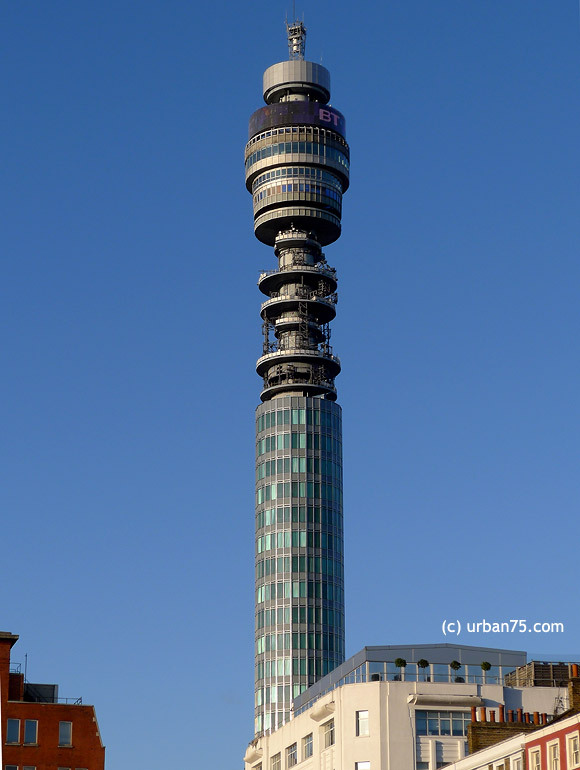 Citing safety reasons, BT has now stripped out all the iconic dishes and horns that were situated along the upper part of the tower. 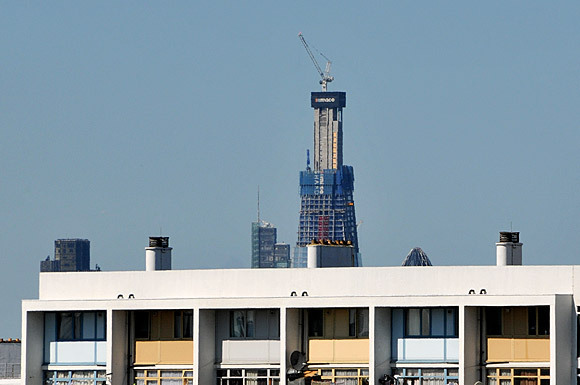 In August last year Camden Council approved plans for the large dish-shaped aerials to be removed, after BT said that some of the now unused equipment had become detached from the tower. 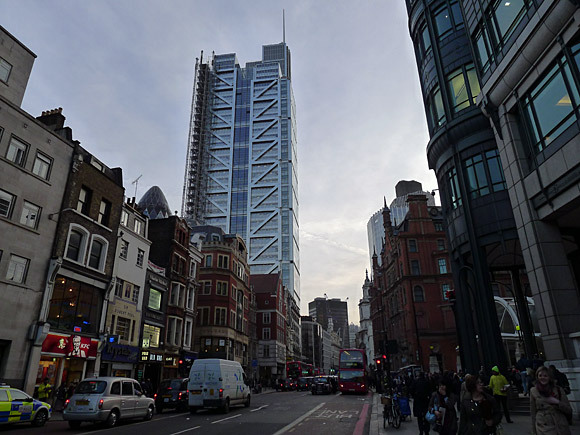 With rusting bolts and wobbly brackets, the loose equipment was described as “a major health risk” due to the tower’s height and location in the centre of London. 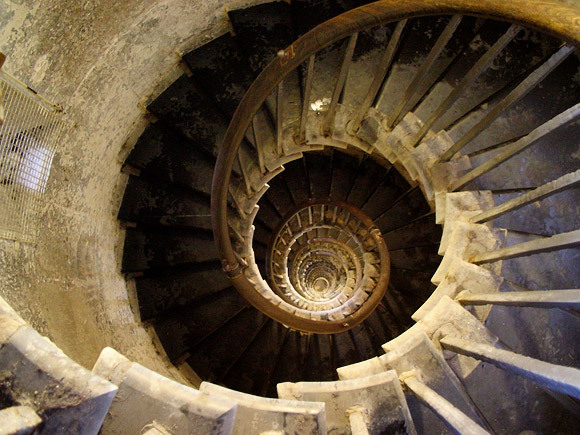 The first two dishes were removed in November 2010, with the rest swiftly following, leaving the tower looking strangely ‘naked’ now. 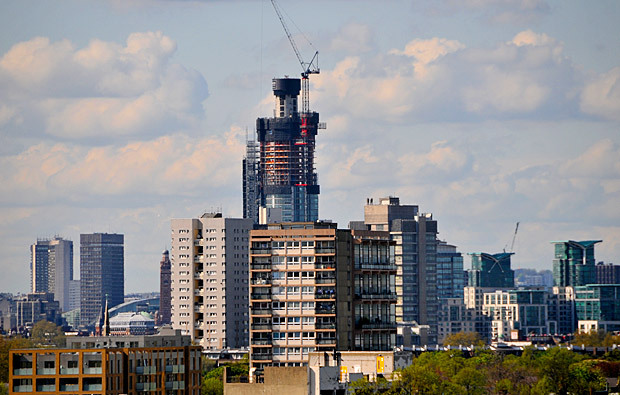 With the central concrete core exposed, and a selection of narrow platforms left in situ, it has to be said that the tower does now have something of a rather pleasingly sci-fi look to it. 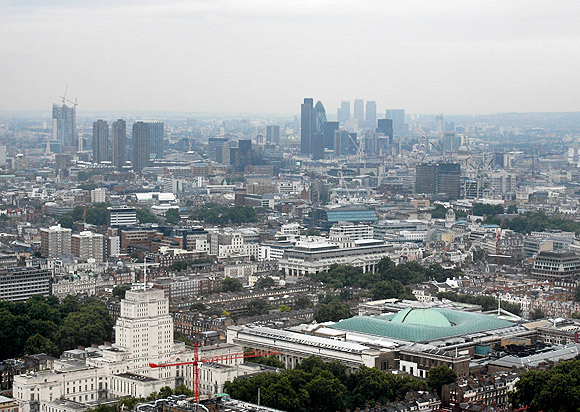 View from the old revolving restaurant on the 34th floor of the BT Tower, August 2007. 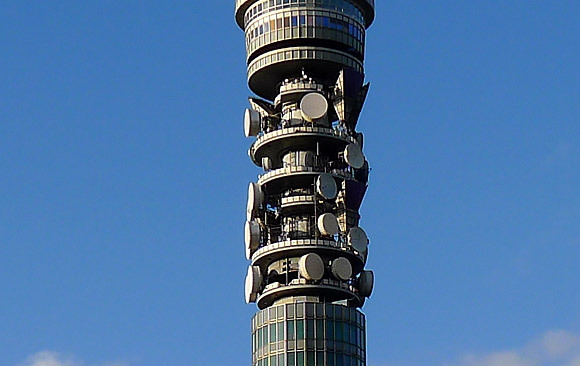 The BT Tower in October 2010 showing a full array of dishes and the distinctive horns. How it looks today with the receiving equipment removed. 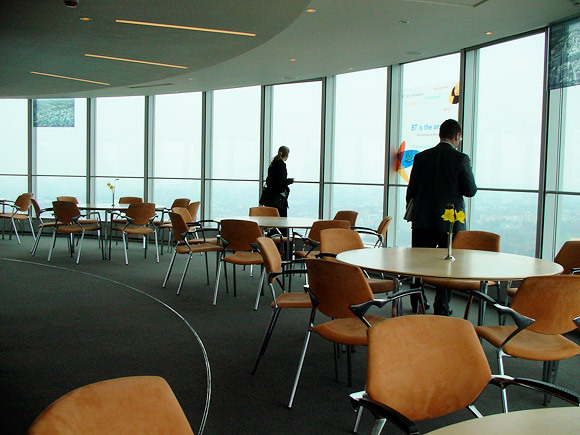 Admiring the view from the top of the BT Tower, March 2004. 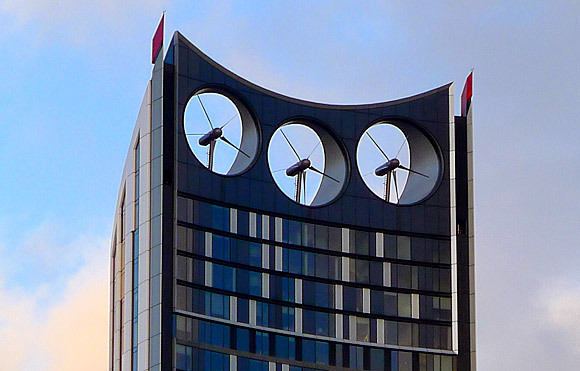 The curved metal line marks the 3-metre wide revolving segment which spins through 360º every 22 mins (a speed of 0.17 km/h). Curious fact! Sir Billy Butlin (who leased the restaurant) and Tony Benn joined together on May 19 1966 to open the facility, which was known as the ‘Top of the Tower’ restaurant. 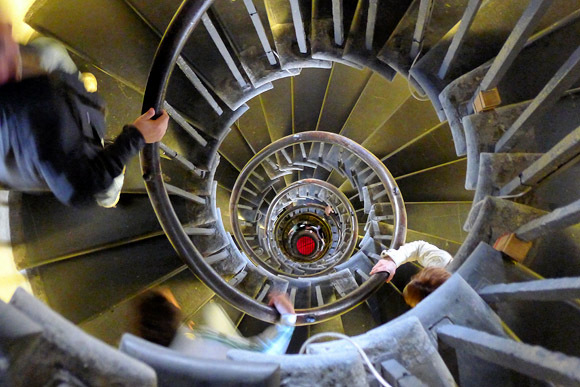 The tower proved an immediate hit with the public, attracting a million visitors in the first year [read more]. Another curious fact! 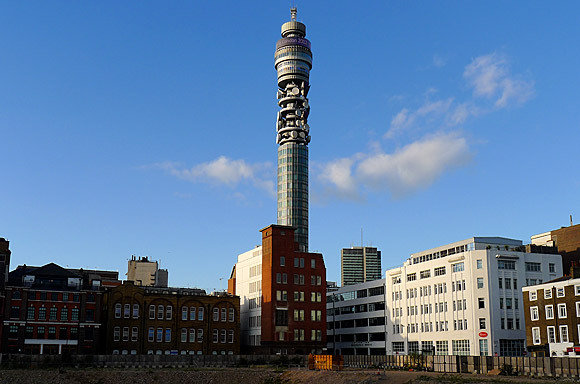 Despite the BT Tower being one of most recognisable and conspicuous buildings in London, it was classed as an ‘official secret’ until fairly recently, and taking or possessing photos of the BT/Post Office Tower was technically an offence under the Official Secrets Act! 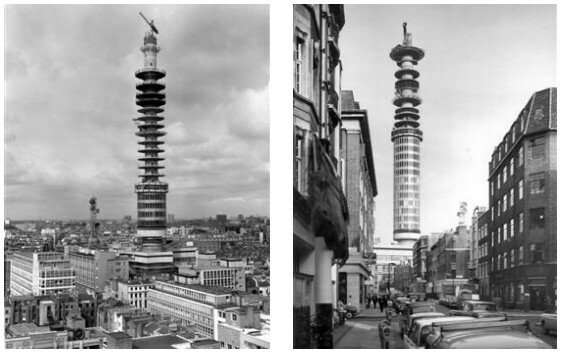 Views of the BT Tower under construction in the early 1960s. 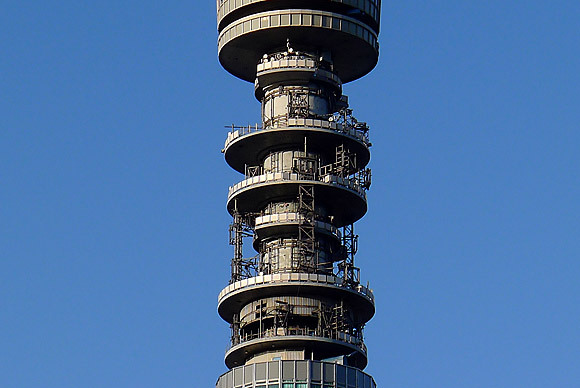 The tower started operations in October 1965, with Prime Minister Harold Wilson making an inaugural telephone call to the Lord Mayor of Birmingham. Here’s two interesting, but creaky-sounding, promo videos from BT which explain why the tower was built and how it all works. Along with the 1960s psychedelic sound effects, there’s some great footage in there – and check out the workmen scrambling over the tower with no safety harnesses!